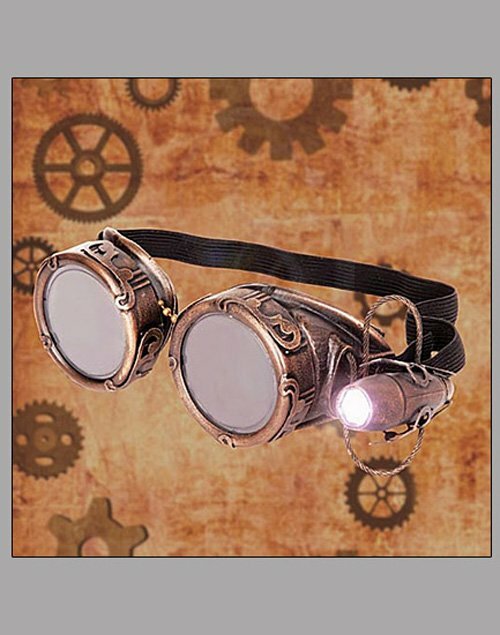 These goggles feature a bright white light-emitting diode to help navigate through the deep caverns of the earth, or whatever your adventure may be! 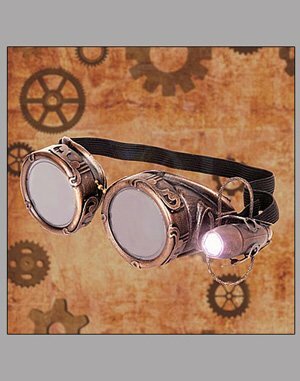 Fully adjustable, these plastic goggles come in your choice of an antique brass or silver finish. These goggles are a novelty item. These goggles do not conform to OSHA or any other protective standard. They are not recommended for the operation of any motorized or self-propelled vehicle. 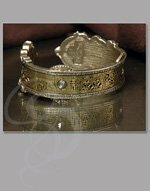 The makers do not claim that they will protect you from anything, but they will look really cool!